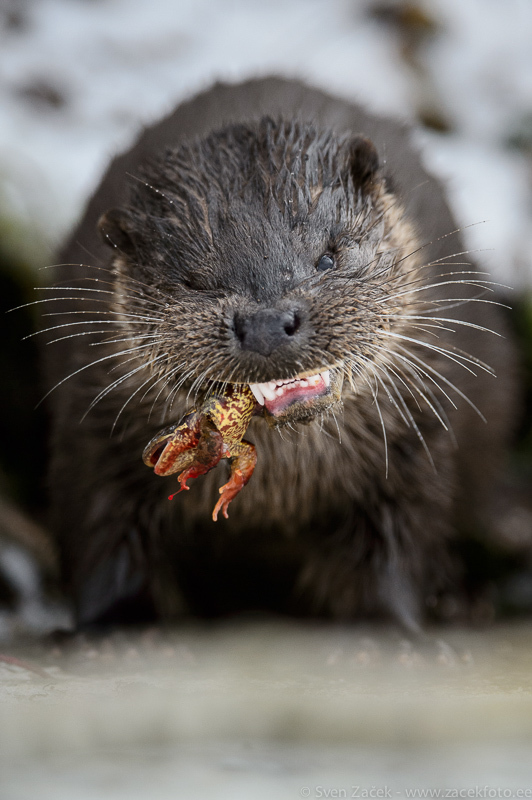 A tasty dinner for one animal is a bloody end to another, who was overwintering somewhere in the depths of a river. Photo info - Winter: Nikon D4s + Nikkor 400mm F28 VR FL + Nikkor TC-14EIII. F4 1/1600 ISO 2500. What a picture ! When I think that I would be happy if I could only see one here ...!